In case you've been living under a chunk of Veldspar these days, the mighty CODE. alliance reached another amazing milestone this month. In January 2018, CODE. 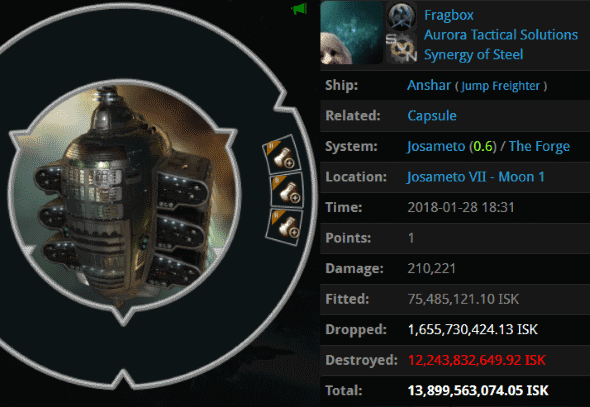 broke its all-time record for the most isk destroyed in a single month. For the first time, CODE. incinerated 2 trillion isk worth of non-compliants. Actually, you probably would've heard about this even if you were living under a chunk of Veldspar, because you would've been ganked for loitering. Nobody was able to escape our Agents this month. Where's the "CODE. is dead" crowd today? Most likely heading to Jita to buy a replacement ship. I suspect many of them are taking the pod express. It seems that every year, some dizzy rebel is out there spreading rumors about the decline and fall of CODE. Yet we only grow stronger and more powerful. 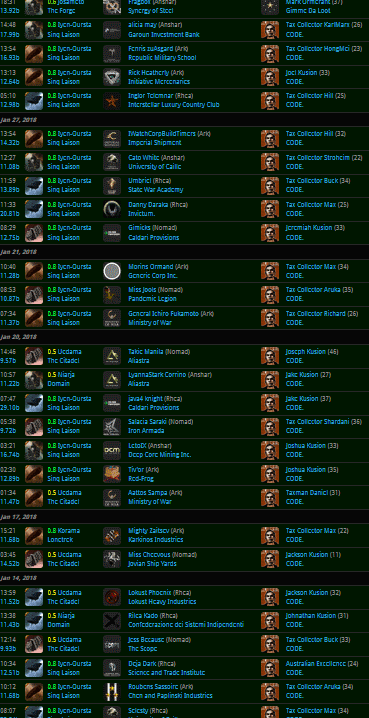 Two trillion isk ganked in a month...! That's a lot of dead carebears. As usual, Anti-Ganking was nowhere to be seen. How did CODE. 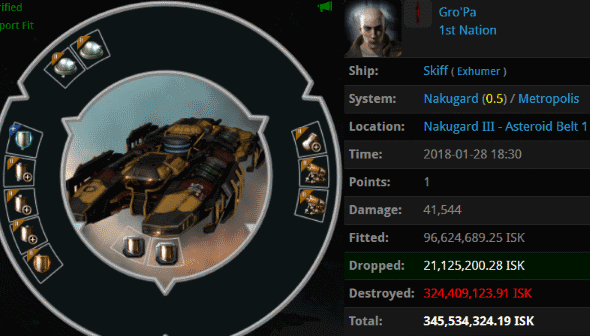 destroy so much isk in so little time? A lot of it had to do with the bot-aspirant freighters and jump freighters, which were dropping like flies all month long. In all, 159 freighters and an astonishing 49 jump freighters were killed. Nothing short of extraordinary. Since December 2012, CODE. has vaporized over 55 trillion isk worth of illegal equipment. As the record-breaking month of January demonstrated, we're only getting warmed up. The fight for highsec is truly the Million Dollar Battle. Because the CODE always wins. Always! Having a hard time understanding the title. Also not sure if James was just trying to meme in this post. Either way decent moral post, but could have used a few more miner tears. Yet you come here every day to whine about CODE. If ISK is all you care about, there are so many better ways to make it than mining, even in high sec. The best part is they are probably inflating those numbers. Such tiny numbers. You know Wolf is right. Miners need to move to null if they want to make some real money. chodeanon is a liar. Anything he boasts about without proof can be dismissed without concern. Those are rookie numbers miner. I make more than that on an alt while I'm enforcing The Code - which makes me rich in spirit as well as spacebux. So Clara Pond, a CHODE. slave, dual boxes with a mining alt. How many CHODE violations is that one wonders? Oh the hypocrisy is delicious. You're blinded by your hate Anonymous (if that is indeed your real name). Alts aren't a Code violation, and have you heard of nullsec? Perhaps not. His name's chodeanon and he's not only a liar, he's also too stupid to understand just how ridiculous he sounds when he cries about Code. Vic Styles, is that you? I see you whining about CODE in Federal Navy Academy chat right now. Clara Pond: Calm down, miner. Sorry that your got caught. Does your master Jamey know your are mining with an alt, and dual boxing with it as well? but where was antiganking??? why didnt they stop the ganks??? They are not able to track 600+ members all the time. But thanks to the kill board I know where all of you make your kills at. Easy tracking!!!. So let's see: a PLEX currently costs about ISK 3.3 million. The cheapest PLEX you can buy come in a 15400 PLEX bundle worth $500. With current market prices, that's about ISK 50 billion. This means that the 55 trillion in destroyed ships translates to about a thousand of these bundles, so at the very least, CODE. has, so far, destroyed the equivalent of more than half a million USD. Of course, most of the ISK is farmed in game, I know. But it is still nice to take these huge numbers into perspective. 55 trillion ISK is better than half a million dollars. Looks like we're about halfway through the battle.